The City of Maribor is a proud owner of the Oldest Vine in the world. This year, the celebratory 40th pruning of the vine took place along a traditional cultural programme and a glamorous donation of vine's scions to eight chosen cities around the world. 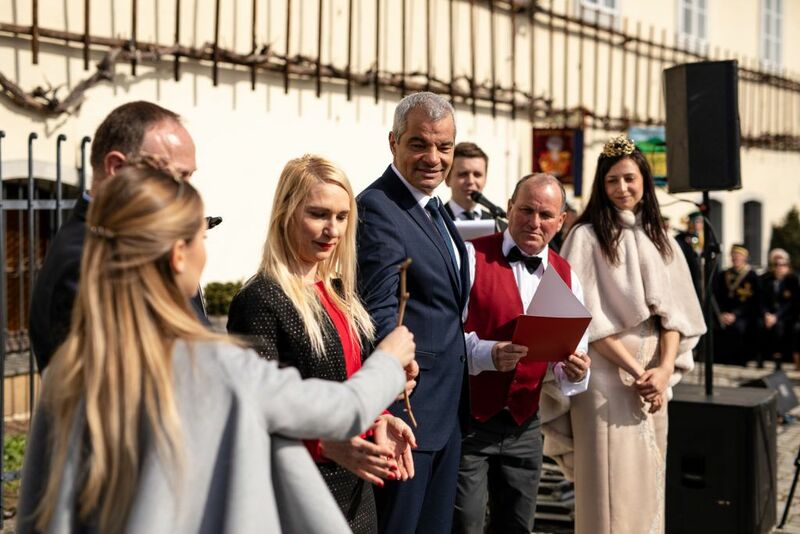 On the 9th of March 2019, in front of the Old Vine House in Maribor, the Pruning of the Oldest Vine in the world took place. The Pruning of the Old Vine was this year held for the 40th consecutive year. On the annual pruning occasion, the city of Maribor presents the gift of the Old Vine scion to eight partner towns and institutions at home and abroad. This festive moment is very important for the people of Maribor who pride themselves with this over 450 years old vine protected as a natural monument and listed as the oldest vine in the world in the Guinness Book of Records. This year’s receivers of the Old vine scions were the Municipality of Ravne na Koroškem (Slovenia), the Municipality and the parish of Razkrižje (Slovenia), the Ljutomer Casasian Club (Slovenia), the Ribnica Association in Dolenjska (Slovenia), the City of Osijek (Croatia), the Inuyama National Park along the Kiso River (Japan), the Stetten im Remstal near Stuttgart (Germany), and Monoter / Szentgotthárd (Hungary). The Old Vine, growing in Maribor’s old town Lent, is the pride of Maribor, Styria and Slovenia. Hence, the pruning event honours the vine’s history with wine, food, culture and entertainment and celebrate this symbol of Slovenian wine and persistence. In 2020, the pruning of the Old Vine will take place on the 7th of March. For the congress and business guests in town, the event will provide a unique experience accompanied by a rich programme and tastings of local wine and food.